If your child loves sweets (as we’re sure they do), Halloween is one of the most exciting times of year. As a parent however, with tons of pre-packaged holiday treats being passed around, it can seem nearly impossible to get your kids to eat anything home-made. That’s why we here at Green Valley have created a list of our top-ten festive Halloween food ideas for breakfast, lunch, snack or dinner. Not only will your kids get a kick out of the shapes, but the entire family will be asking for seconds! Spookify breakfast time with a fluffy stack of Halloween-inspired pancakes made with organic Green Valley Pumpkin. Topped with a drizzle of black maple syrup and a frightfully fun whipped cream ghost, your kids won’t be able to get enough of these. With all of the excitement surrounding trick-or-treating, the anticipation on Halloween Day can be a killer. Surprise them at lunchtime with these festive Spider Cracker Sandwiches stuffed with their favorite spread. Who said you can only carve pumpkins? 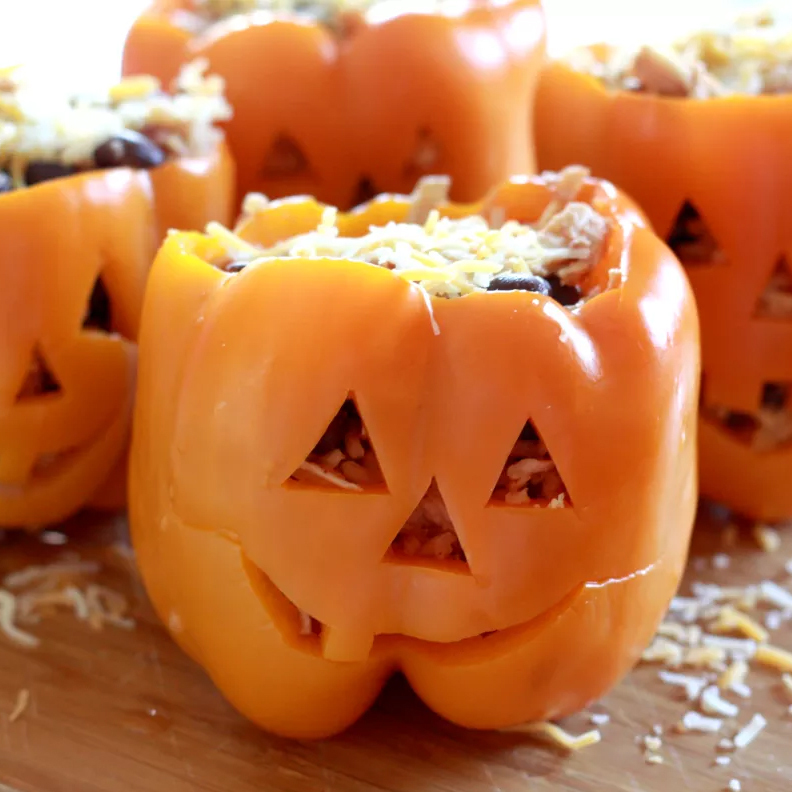 Put your creativity front-and-center with these edible, bell pepper Jack-O-Lanterns! Stuff them with slow-cooked chicken, high-fiber organic Green Valley Black Beans and rice for a delicious, Mexican-inspired meal. After serving up these mini mummy pizzas, your family will be “screaming” for more! Instead of using traditional marinara sauce, load it up with extra nutrients by using organic Green Valley Pumpkin. Even better, this recipe takes less than 15 minutes of prep time. “Trick” your little ones into eating a healthier alternative to ice cream! With just a few simple steps, these ghost-shaped pops are perfect to whip up with your kids. They’ll love helping out (almost) as much as they’ll love eating them. Looking for your next Halloween movie night snack? 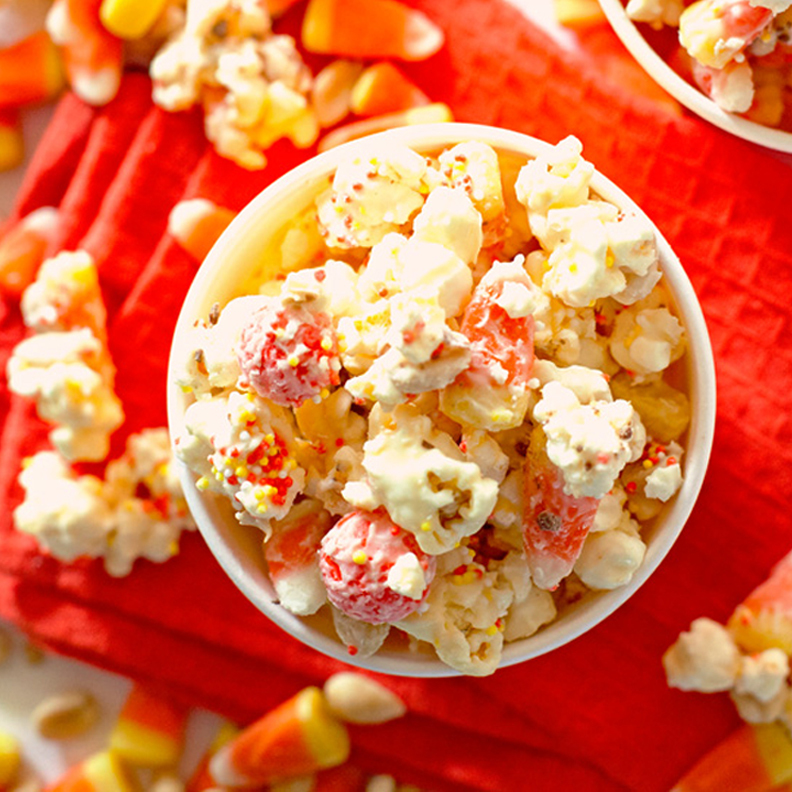 Sweet, salty, and bursting with Halloween flavor — this recipe transforms basic popcorn into a festive treat that the entire family will go crazy for. The look on your child’s face after seeing these silly apple monsters will be priceless! Made from mostly fruit and peanut butter, they may appear scary on the outside, but they are actually full of protein and nutrients. Just because it’s Halloween, doesn’t mean your children should be skipping on their daily intake of fruit! Embrace the natural shape of tangerines by transforming them into adorable, vitamin-packed pumpkins. 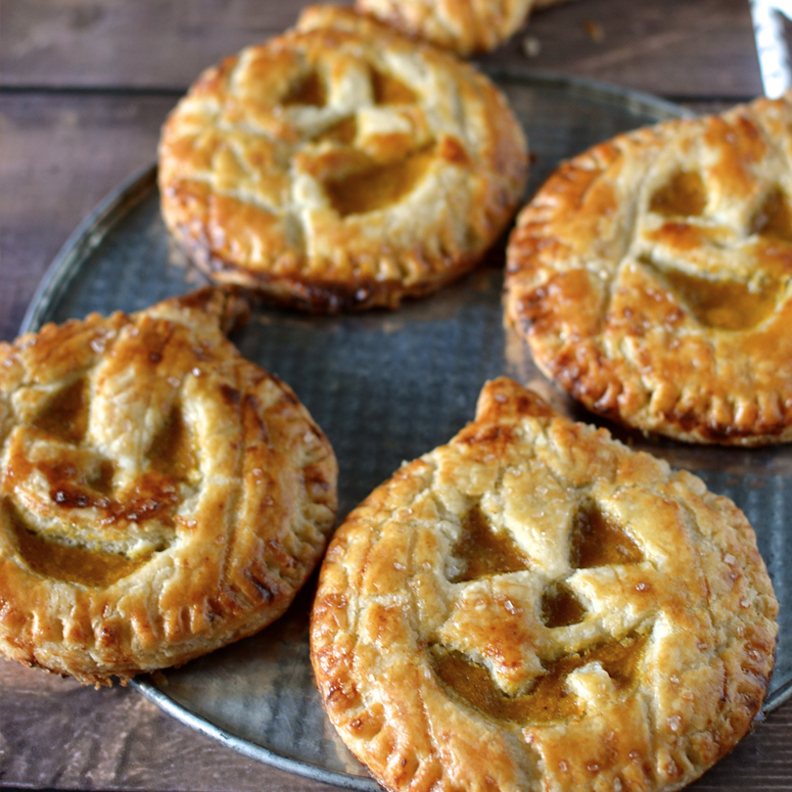 Creative and fun-to-eat, these mini funny-faced pumpkin pies will be sure to impress at any Halloween Bash. Made with a homemade flakey crust and organic Green Valley Pumpkin, it’ll be scary how fast these pies disappear. After giving these recipes a whirl, you’ll see that Halloween is the perfect time to use your creativity to make your own festive holiday treats! Don’t forget to share photos of your creations with us on Instagram by tagging @ItsGreenValley, and have a Happy Halloween!